Abyei, South Sudan -- South Sudan is set to become the world's newest nation on July 9, 2011, but celebrations are premature. The situation remains, as U.S. Secretary of State Hillary Clinton has said, "a ticking time bomb." A January referendum for independence passed without incident, despite fears that President Omar al-Bashir of Sudan -- the orchestrator of two decades of brutal warfare against the south, who has been indicted by the International Criminal Court for genocide in Darfur -- wouldn't let the South secede without bloodshed. But South Sudan is riven by crises along two of its borders. The epicenter of tensions is Abyei, an impoverished but resource-rich area between northern and southern Sudan. A 2005 agreement ended years of war but left the area's contested border undefined and stipulated that residents of Abyei -- who are of the southern-based and Christian Ngok Dinka tribe -- should have a referendum of their own. Employing a familiar tactic, Khartoum has backed, trained and armed a semi-nomadic Arab tribe, the Misseriya, while denying all responsibility for its repeated attacks on Abyei's villages. Al-Bashir insists that the Arab tribesmen, who graze their cattle in the Abyei area, should also vote to determine whether Abyei will be a part of the north or the south. The Ngok Dinka disagree, arguing that nomadic people who are in Abyei only a few months a year are not "residents." 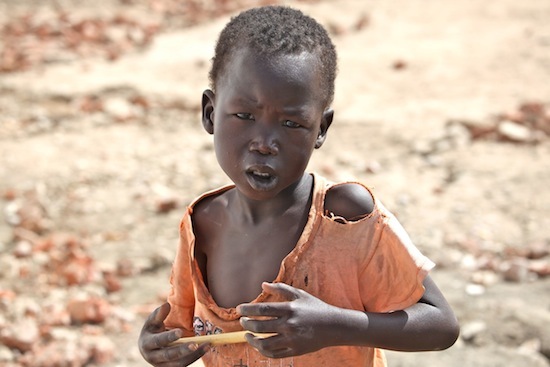 "The situation is desperate," chief administrator of Abyei Deng Arop confirmed. "We have run out of everything. People are terrified." "If the South separates without a solution, Abyei will be a war zone," said Mr. Deng. "One thing I am sure of, the people of South Sudan will not leave Abyei to suffer alone." Indeed, I watched truckloads of soldiers from the Sudan People's Liberation Army (South Sudan's main force) heading toward Abyei, and Western observers report that armies are reinforcing their positions on both sides of the border. While Abyei hangs in the balance, another of South Sudan's borderlands is convulsed with violence of a different kind. The dense brush near the Central African Republic and the Democratic Republic of Congo harbors an infamously brutal Ugandan militia, the Lord's Resistance Army. In improvised camps in and around the city of Yambio, mothers keep their children close. Here everyone has a story of murder, torture, mutilation or abduction. A little boy who had been forced to kill his father with a log screams through the nights. A 12-year-old was clear on the numbers; he had killed 82 people before he escaped captivity from the Lord's Resistance Army. "When we go to sleep," a young mother told me, "we don't know if we will be alive in the morning." United Nations peacekeepers -- part of the UN Mission in Sudan (UNMIS) -- are present in both Yambio and Abyei, but they have not provided any protection. In 2008, after watching the burning of Abyei from the peacekeepers barracks, U.S. Special Envoy to Sudan Richard Williamson said, "We pay a billion dollars a year for UNMIS and they didn't leave their garrison... UN peacekeepers were as close as 25 feet away. 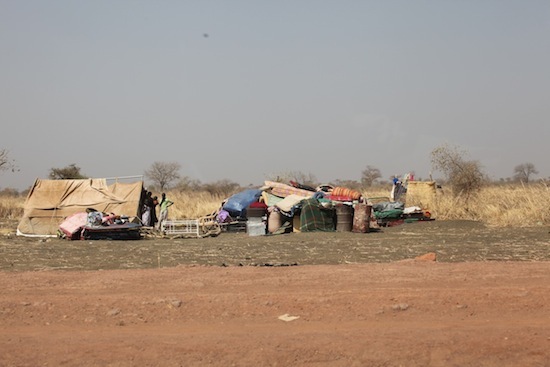 Sudanese homes were burned to the ground -- despite the fact that UNMIS has a mission to intervene to protect innocent people." The world is about to witness the birth of South Sudan, but whether this new nation survives and thrives will depend on whether the UN insists that its peacekeepers fulfill their mandate and truly protect civilians.